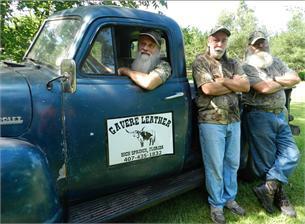 Gavere Leather MADE IN USA began in 1973. We specialize in leather name belts, western belts, personalized kids belts, leather name bracelets. While attending the University of Florida in the late sixties, Jeff learned the trade working in a leather shop making leather hippie sandals. Upon graduating with a business degree, he made the transition into the corporate world but continued to do craft fairs on weekends. In 1973, Jeff & Linda got married. She brought a ready made family of two beautiful children (Todd and Brandi) and a pekingese named FooFoo. We decided to drop out of the corporate world and start making fine leather goods fulltime (Jeff stopped shaving & wearing business suits). In the early years, the whole family would take to the road in an old converted red school bus for the summer, to do craft fairs. Then, for the next thirty years, we operated leather shops in fifteen amusement parks across the country. Perhaps you've visited one of our shops at Cedar Point, Sea World, Busch Gardens, Fiesta Texas, MGM Grand, Las Vegas, Universal Studios Florida, and several Six Flags Parks. A few years ago, we gave up our last amusement park location at Cedar Point and began selling at state fairs and rodeos during summertime. 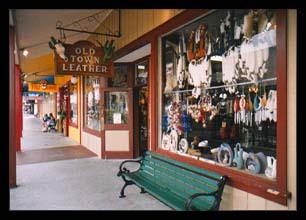 In July 2015, we sold our last full time, year round retail shop (since 1985) at Old Town Shopping Center (Hwy 192) in Kissimmee, Florida, near Disney, after residing there since it opened 30 years ago. 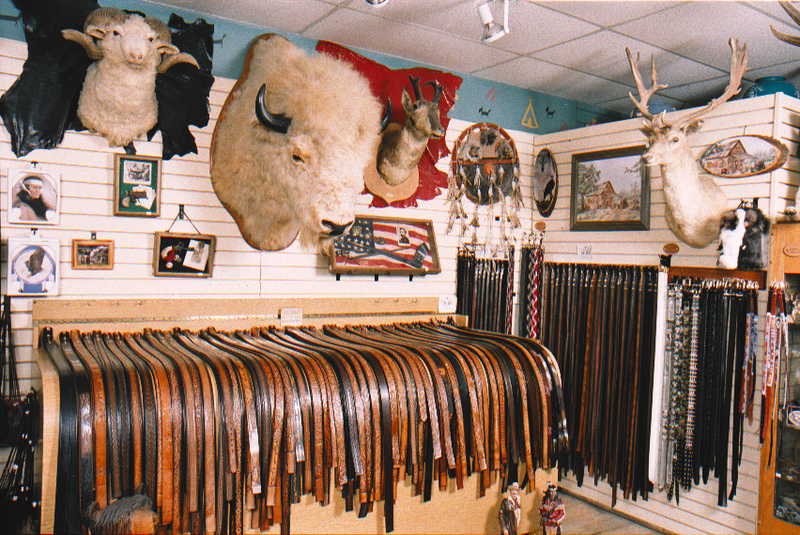 From the beginning, we decided to concentrate on making only the highest quality leather products, and forty two plus years later we are still doing just that in our 13,000 square foot warehouse in High Springs, Florida. We use ONLY quality top grain cowhide leather, (heavy 9/10 oz oak tanned), and hand finish with our exclusive sixteen step process.